North Archives - GKTA Group Ltd. 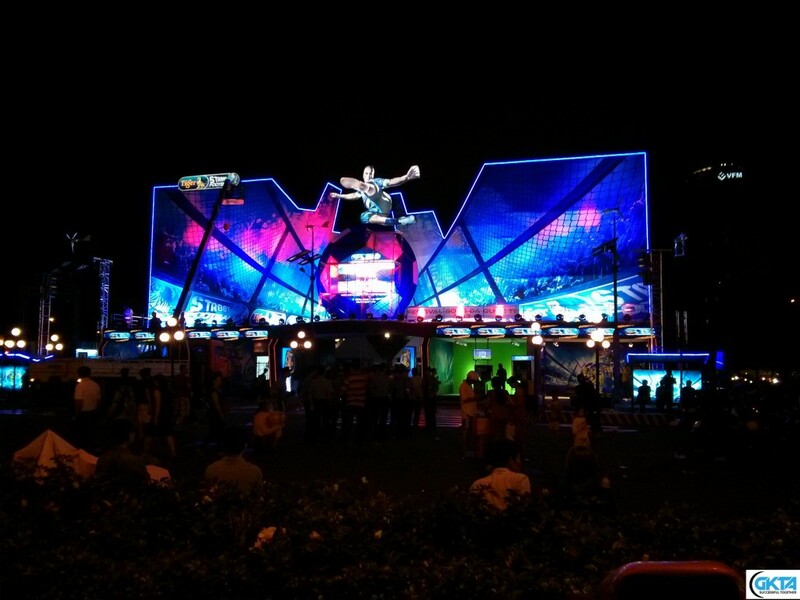 The outdoor stage before the event. 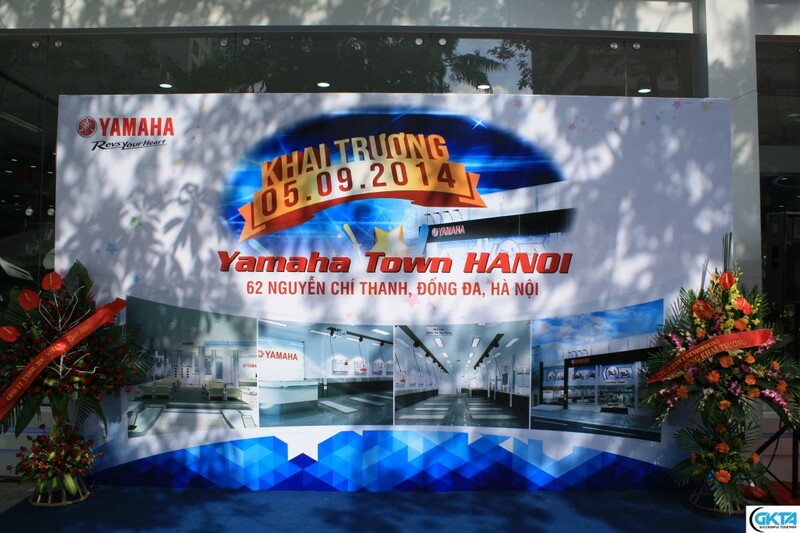 On September 5 Yamaha Town Hanoi opened its doors to the public at 62 Nguyen Chi Thanh in Dong Da District, Hanoi. 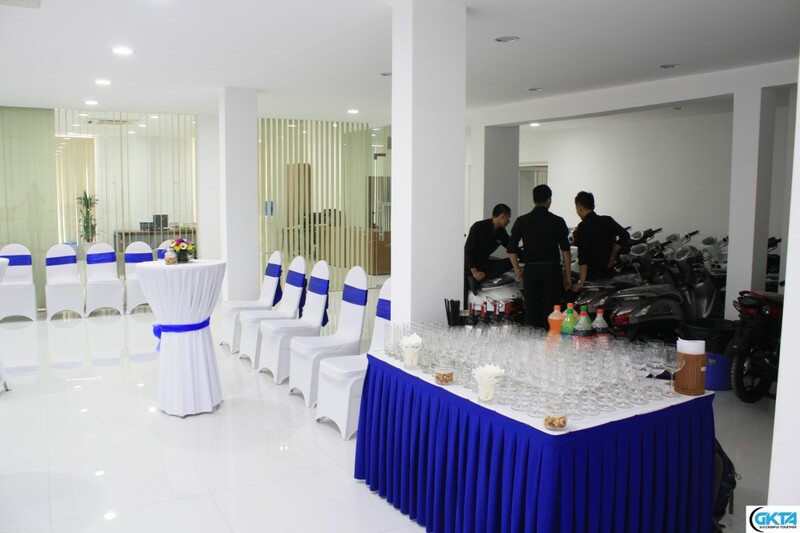 The opening of the showroom is unique because it is the only official Yamaha Motors Vietnam showroom in Hanoi—although a potential local partner has the option to takeover the management of the facility, which includes a state-of-the-art service area on the first floor (ground floor for the Americans), and office space on the second floor. 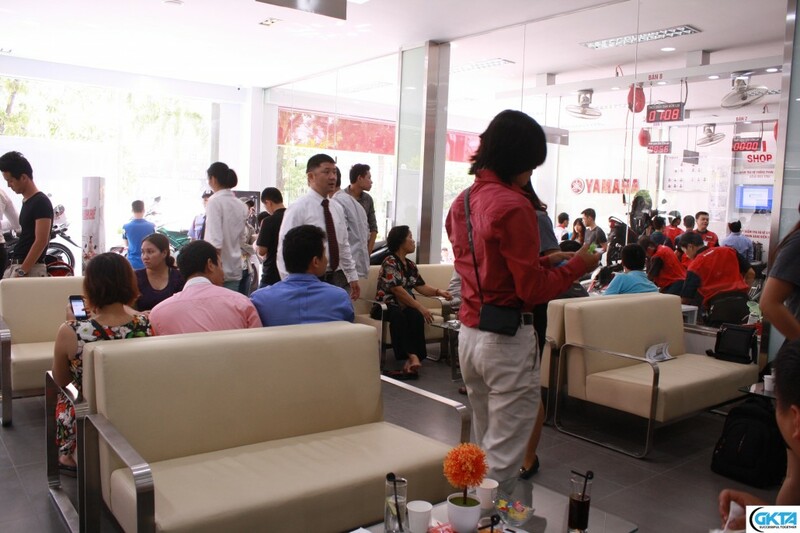 It took about a year to open this particular location but depending on a local partner’s resources (and relationships) and taking the dealership location into consideration, it can take between three and 12 months to open up a new Yamaha Motors Vietnam dealership. 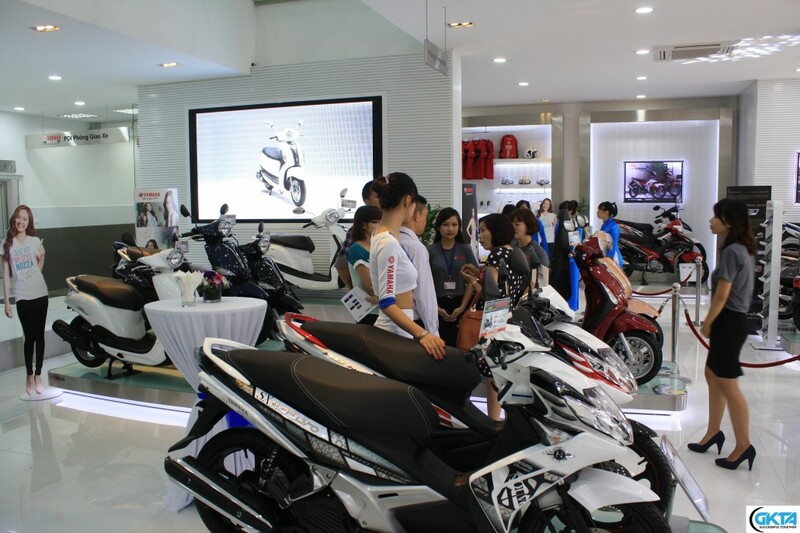 Across Vietnam there are approximately 500 showrooms where Yamaha Motors products can be found in—a staggering figure considering that Yamaha Motors Vietnam has been operating here for 15 years. 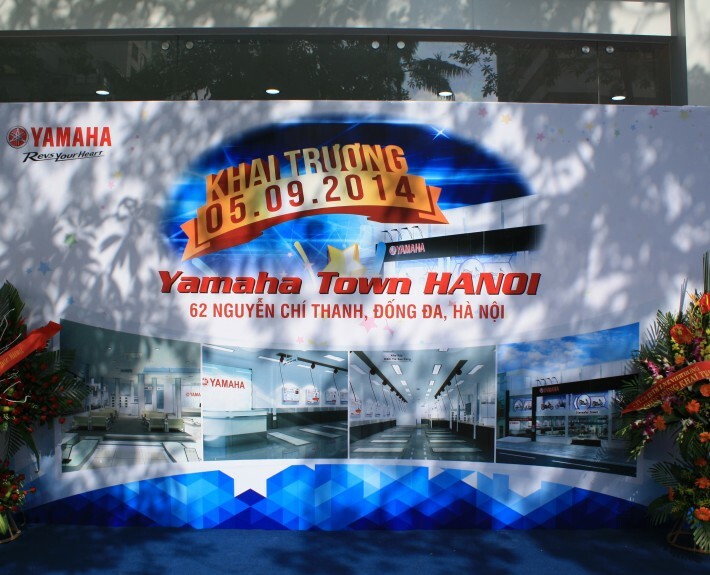 Yamaha Town Hanoi is the latest location to join the stable of other Yamaha Town locations throughout Vietnam. 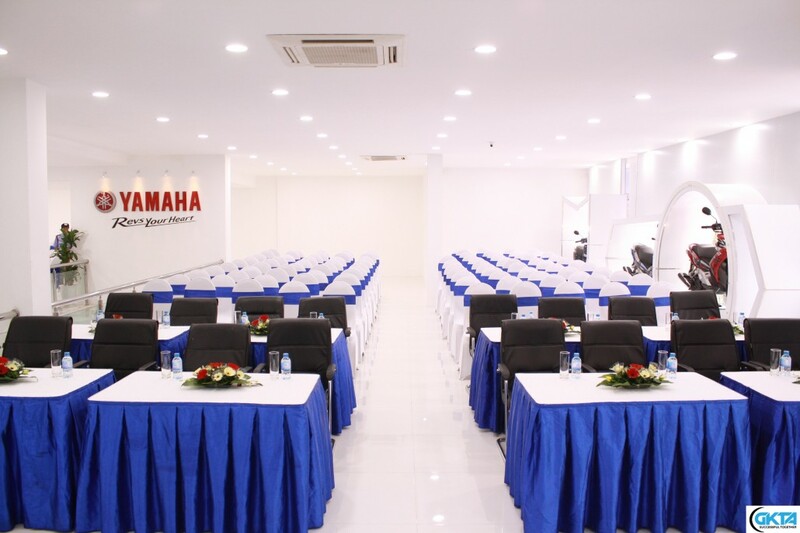 There are Yamaha Town locations in the cities of Can Tho, Vung Tau, Phan Thiet, Nha Trang, Da Nang, and Hai Phong. 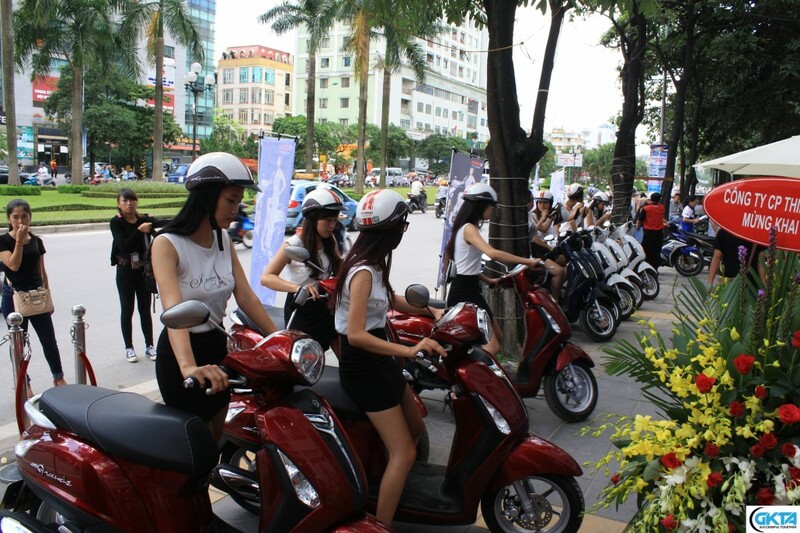 In the entire country, Hanoi is the second-largest market for Yamaha Motors Vietnam as the brand is more popular in Saigon. 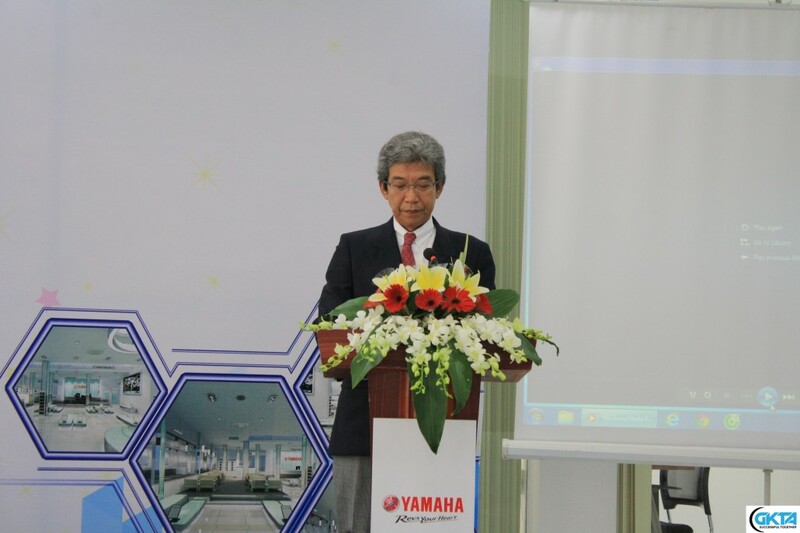 At the opening ceremony, the director of Yamaha Motors Vietnam, Mr. Masaru Ono, spoke about grasping the needs of each customer segment and he also set the development of marketing as an urgent task. Mr. Ono laid out how Yamaha Motors Vietnam has a specific strategy to set the highest standards for its customers—something that will help Yamaha drive sales in the current market and in the future. It’s currently a particularly difficult time in the motorcycle industry in Vietnam due to saturation, some recent economic uncertainty, and a rising interest in cars from consumers with increasing purchasing power. Currently, about 61% of the vehicles in Vietnam are motorcycles. But cars will not be able to fully replace motorcycles due narrow passages, housing density, and high vehicle tax barriers. FZ150i brand ambassador, singer Tuan Hung was present at the event and delivered some remarks about his opinion on the Yamaha brand and its products. Mr. Hung mostly spoke about his affinity for Yamaha’s sporty designs and how he thought they contributed to the brand’s success here in Vietnam. Afterward, fans were able to take photos with him in the showroom and outside on the sidewalk. 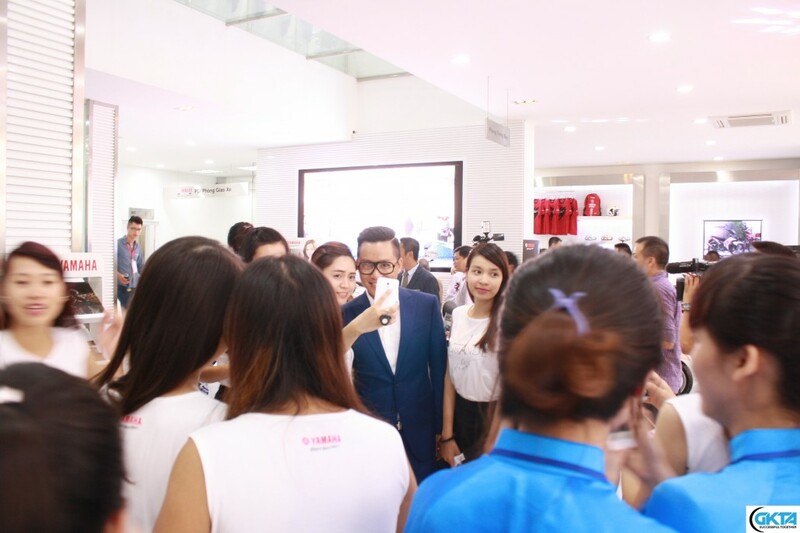 During the event there were different elements of Yamaha operators, each fulfilling a different role: promotion girls to attract attention to the products, ao dai girls to greet the event guests, Yamaha Grande girls to parade through Hanoi, and sales girls to answer questions from potential customers. The event wrapped up with a parade of at least twenty Yamaha Grande scooters led by Mr. Masaru Ono, who also had the pleasure of owning the first motorcycle sold at the new dealership. He then proceeded to don proper riding gear in front of the showroom and took off in a southerly direction through the streets of Hanoi. Honda is Yamaha’s main competitor in Vietnam. Whereas Honda can leverage its economies of scale, and expertise in the automobile and other markets, Yamaha focuses specifically on motorcycles segments and connecting with its customers. One way that Yamaha Motors Vietnam engages its customers is through a customer relations management (CRM) program based on three month intervals. It uses call centers to directly contact their customers in order to remind them of service dates and intervals. The service technicians also use stickers that are placed in the storage compartment of motorbikes (under the seat) so when getting gas the customers are reminded of the next service date as well. Because of these different methods of engaging consumers, the average Yamaha product has a seven year lifespan. 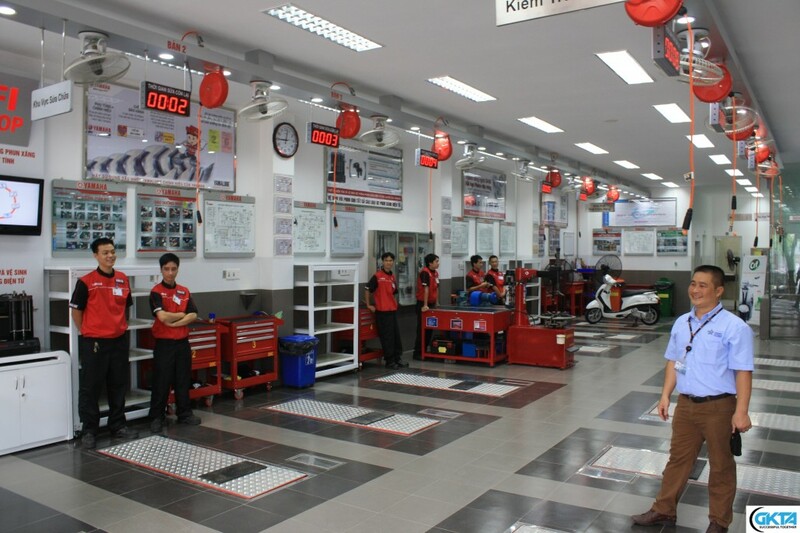 In terms of training and customer service, Yamaha Motors Vietnam’s technicians go through a training program to eliminate technicians with poor attitudes and/or a lack of soft skills. This training program ensures that graduated technicians will be able to deliver consistent experiences at every showroom, thereby resulting in satisfied customers. In order to be selected for the training program, technicians need to have at least a basic understanding/basic training of technical know-how. 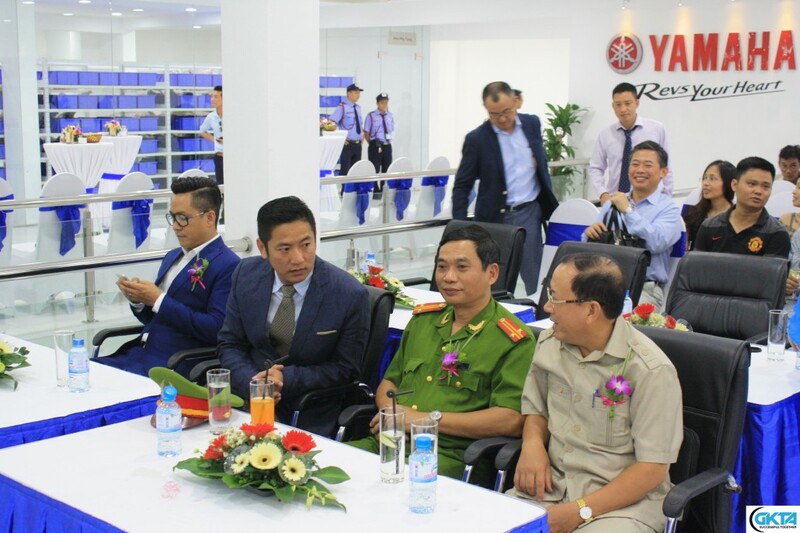 Yamaha Motors, like many corporations, has a global strategy but largely relies on country organizations like Yamaha Motors Vietnam to implement local initiatives. 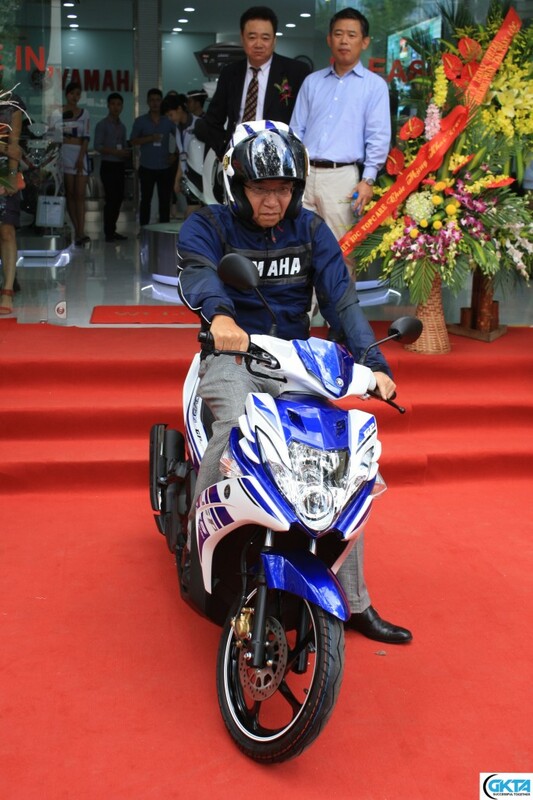 For example, Yamaha Motors Vietnam has a specially modified caravan that goes into small towns across Vietnam. During local weekend events thousands of Yamaha riders will attend and receive free oil changes and other perks. These local community support events are important because some motorcycle (and bicycle) riders do not perform basic maintenance on their vehicles, resulting in a smokescreen behind them due to burning oil or screeching brakes when stopping–so these sort of initiatives are imperative to keep the products functioning properly on the roads. Nine complimentary oil changes are included in the sticker price and every Yamaha product that is sold has a three-year warranty or coverage for up to 30,000 kilometers—whichever comes first. 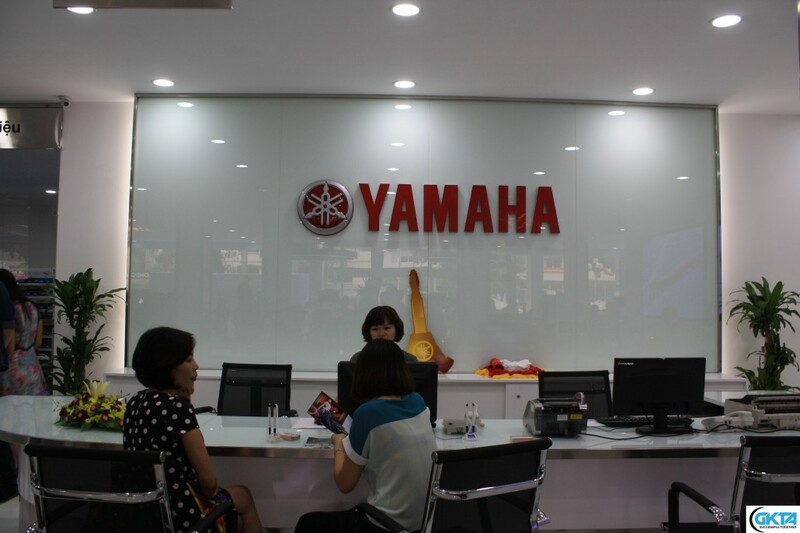 All of Yamaha Motors Vietnam’s production is in northern Vietnam. Yamaha Motors Vietnam has about 7,000 factory workers spread across three factories in the surrounding areas of Hanoi. One factory produces spare parts and two are dedicated to the assembly of Yamaha Motors products. 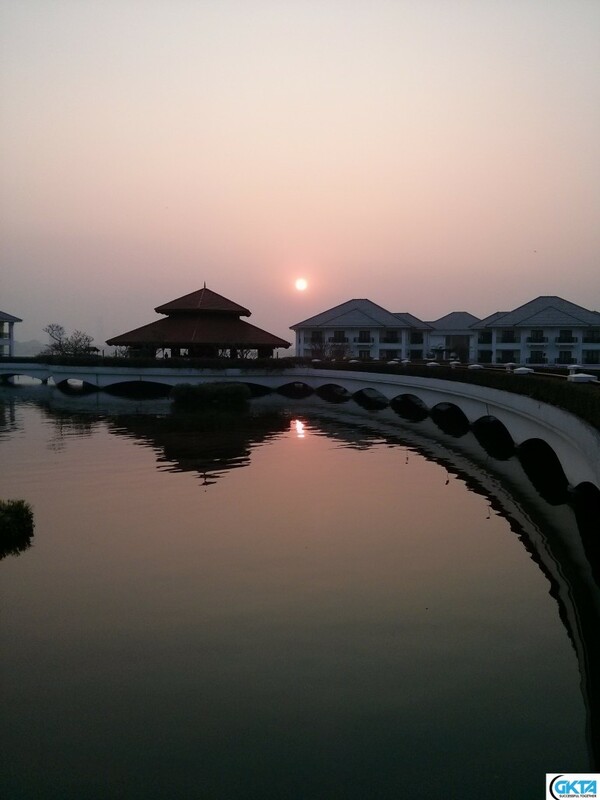 Additionally, about 200 marketing staff work out of an office in Hanoi. When Yamaha entered the Vietnamese market, it initially made a big push in Saigon because the surrounding cities would and did end up following the trendsetting Saigonese. 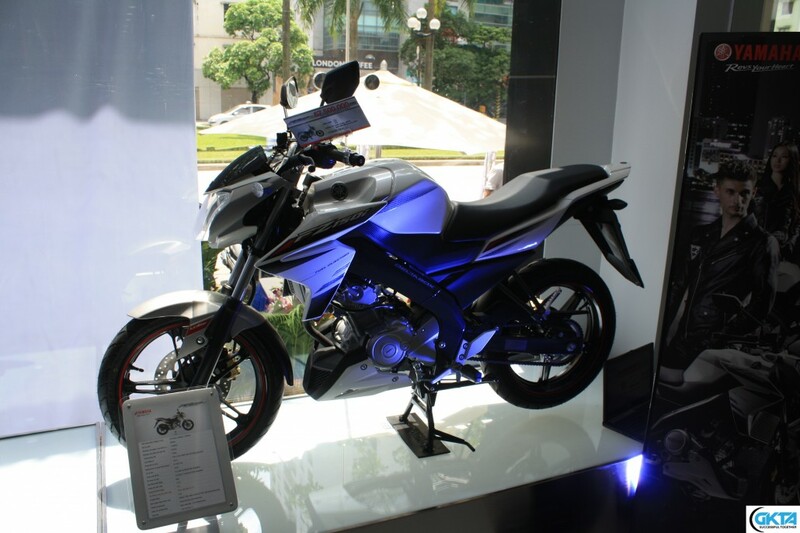 In Vietnam, Yamaha Motors Vietnam is positioned as sporty brand, targeting the young males consumer segment. 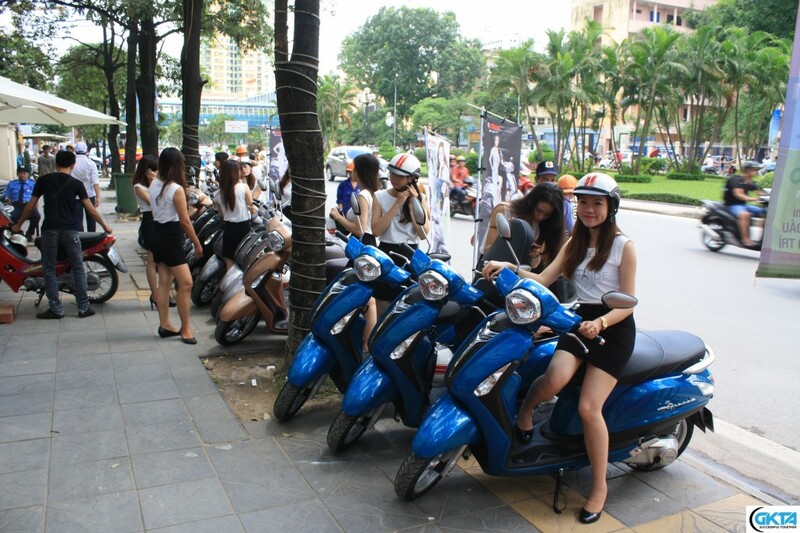 Since Yamaha entered the Vietnamese market in 1999, it has used its sporty designs, sporty engines, and key local influencers to attract and maintain the attention of young Vietnamese men. Its tagline: “Revs your heart” and its byline on advertising, “Fun injected” (a play on words for “fuel injected” or the primary way fuel is delivered into engines), reflect this sporty and playful brand positioning. 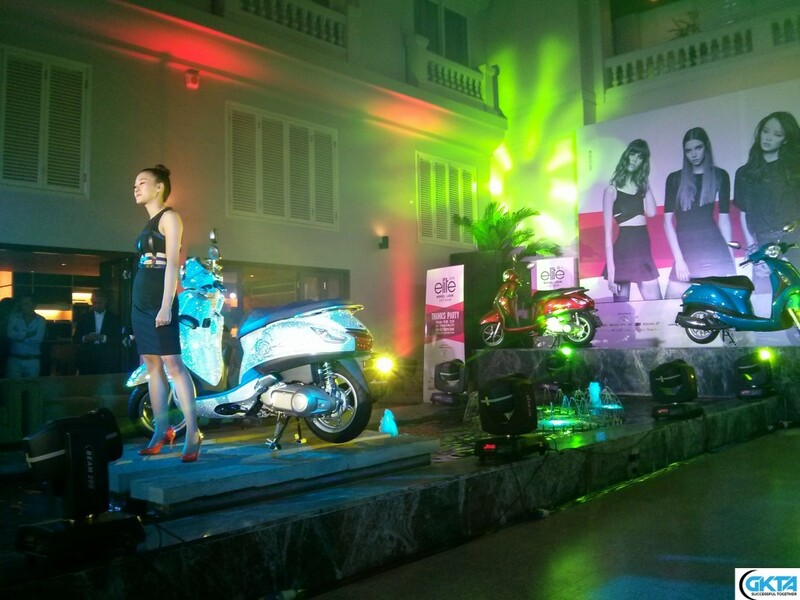 Other foreign motorcycle/scooter brands have an easier time to target Vietnamese consumers because of consumer perceptions of higher-quality foreign products. 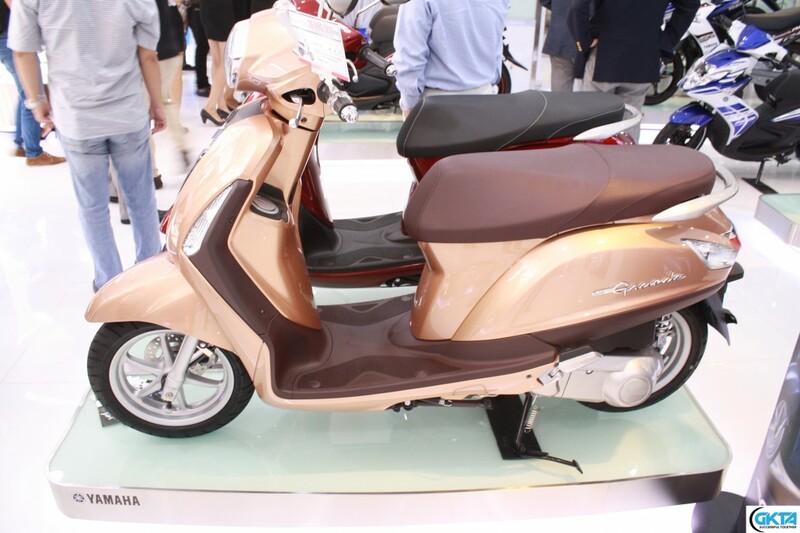 For example, Piaggio is a go-to brand for women interested in scooters because Vietnamese consumers prefer American and European brands over even some foreign Asian brands. Since Yamaha is not viewed as a luxury brand in the Vietnam market, it needs to focus specifically on certain motorcycle segments and leverage its competitive advantages. In part, this foreign preference is due to a desire for larger engines and models—which can present some challenges for operators with smaller bodies who are essentially sacrificing vehicle control for image. This example is one key difference that distinguishes the Vietnam market from even other markets in Asia. 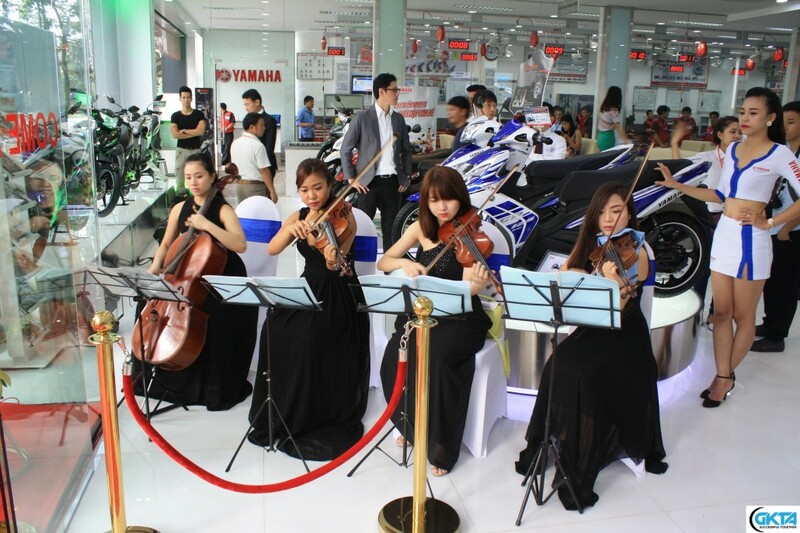 In fact, Vietnamese consumers are so different compared to other consumers in Asia-Pacific region that Yamaha launched a product specifically for the Vietnam market, the Yamaha Grande. 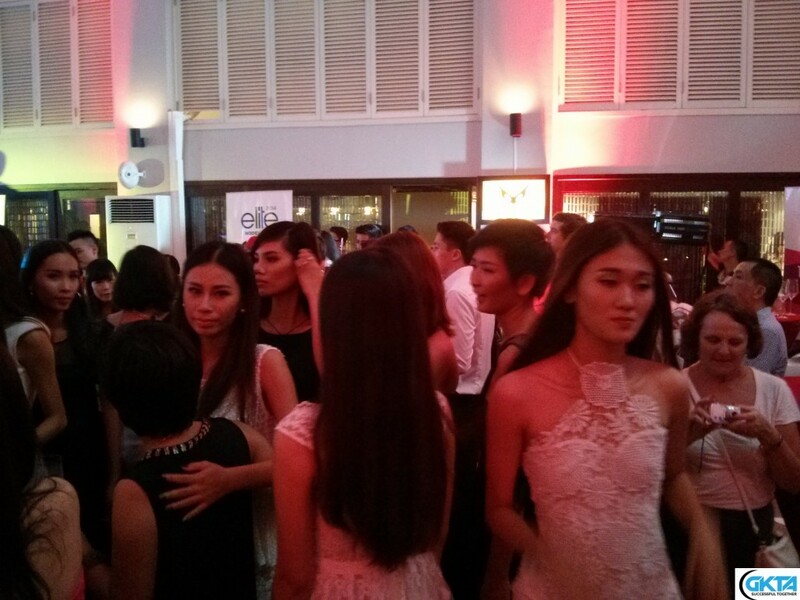 Previously, it had tested some Indonesian models in Vietnam but they were not that successful with consumers. Between markets, several elements can be changed such as the engine timing, shift points, throttle sensitivity, etc. For example, in other markets such as Malaysia, drivers like to go (and can go) faster on roads (partly due to better infrastructure). The Yamaha Grande is specifically designed for women who like scooters. It took two years to develop the Grande, which was released over the summer. 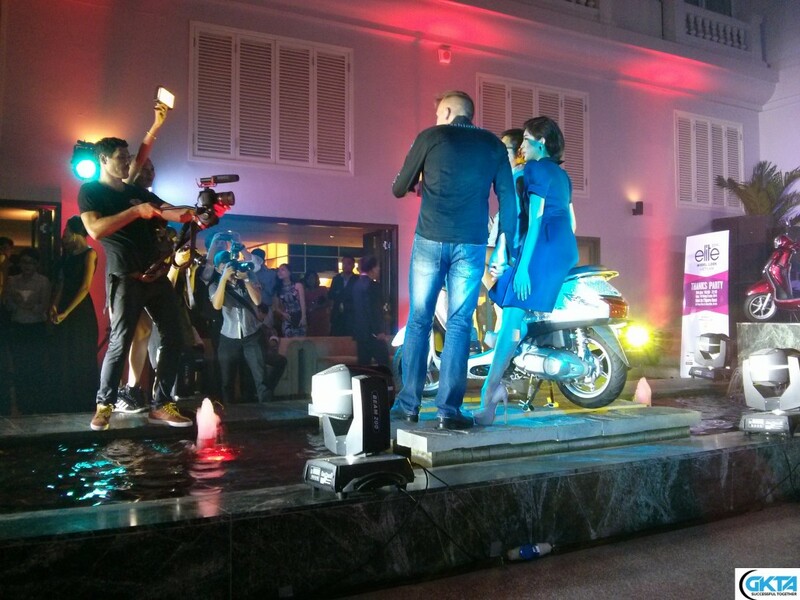 With the Grande, Yamaha now offers nine models to serve the Vietnamese market. 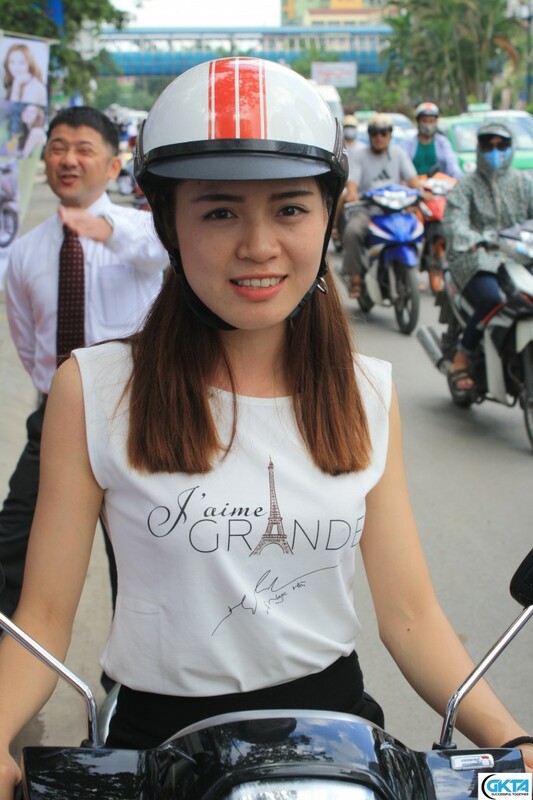 For its Yamaha Grande marketing campaign, Yamaha enlisted prominent celebrities such as Ho Ngoc Ha to target and connect with women. In its message, there is a clear Paris influence (promoting foreign luxury elements) that is evident from its video promotion to the outfit on its Yamaha Grande girl riders—all of which is done in-house. We were surprised to find out that the company puts on over 200 events per year—and it’s usually closer to 300 events per year with about 20 big events such as the grand opening of the showroom. 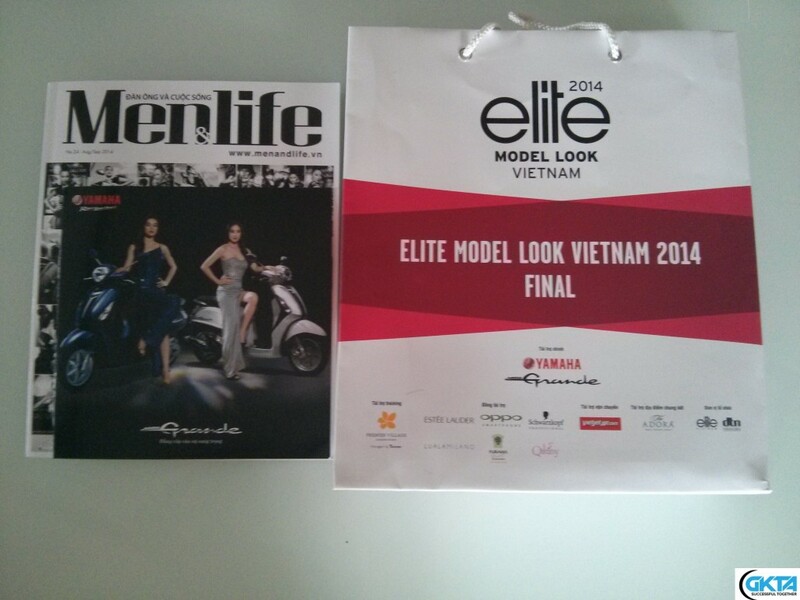 Recently, Yamaha teamed up with Elite Model Look Vietnam 2014 in a quest to find the best model talent in Vietnam. 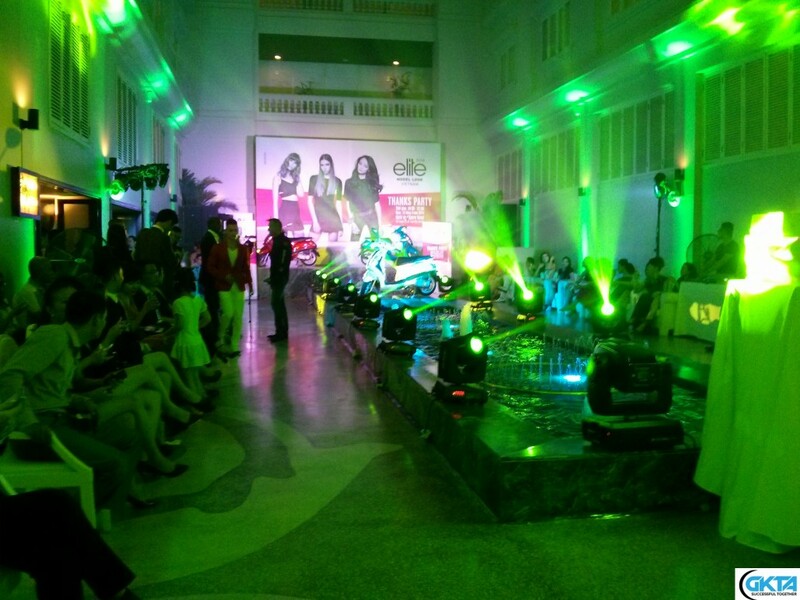 During a “Thanks Party” held in Hanoi, the Yamaha Grande was prominently featured in the event, including a $20,000 version outfitted with Swarovski crystals. 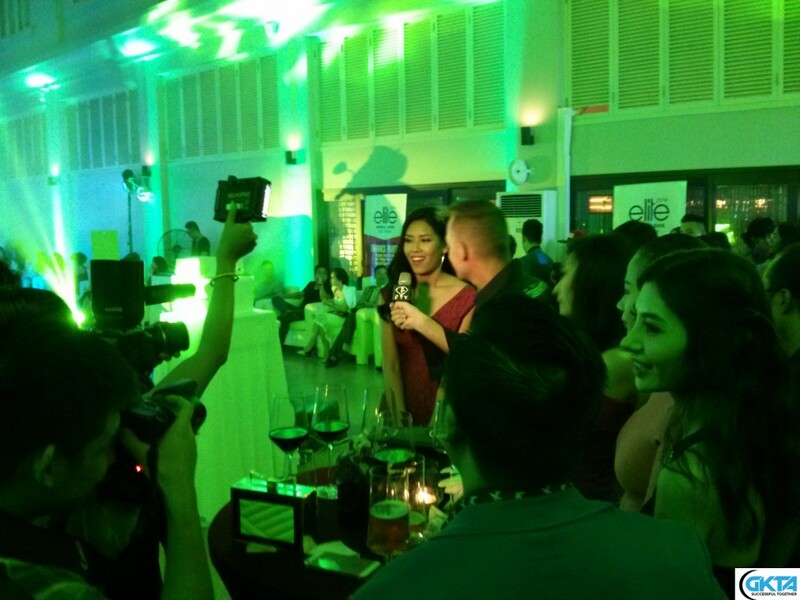 The exposure from Elite Model and Fashion TV (who had correspondents at the party) will positively impact Vietnam’s image on local, national, and international levels by instilling national pride in Vietnamese and exposing new people around the world to the beauty and potential of Vietnam. 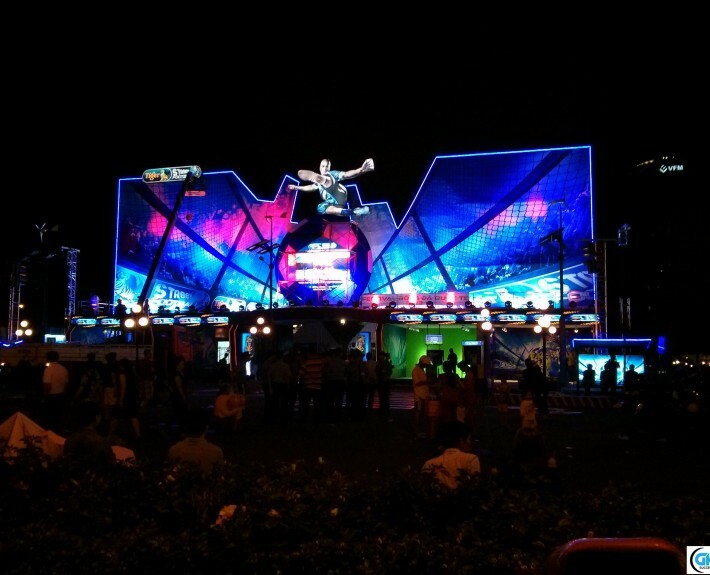 If Yamaha continues these clever kinds of cross-promotional events then it will surely be able to capture the hearts of women in addition to its success of attracting thrill-seeking men in Vietnam and beyond. Setting up for a marketing event in District 1. 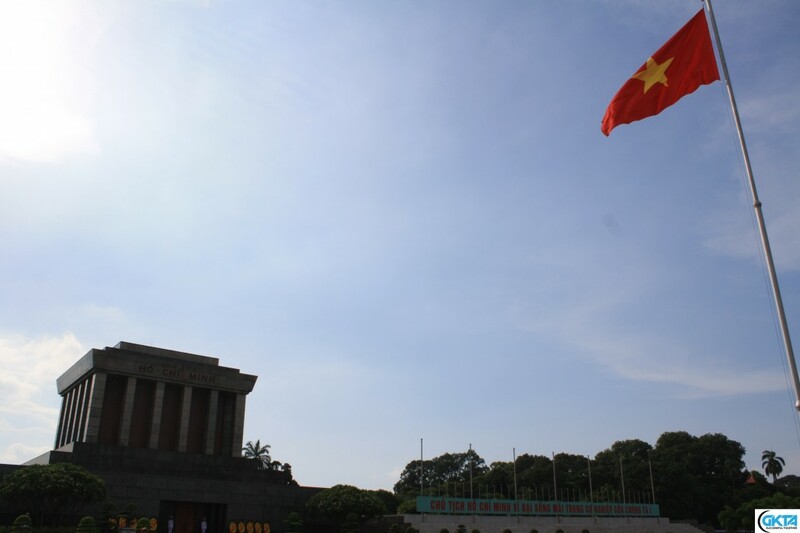 Like many countries, Vietnam has experienced stark and monumental changes: periods of colonization, expansion, and more recently, independence and renovation (doi moi). However, throughout its history there has been a general flow of people from the original northern areas near China to the southern Mekong delta. These migration patterns have helped shape regional (north, central, south) and cultural identities on national, provincial, and municipal levels. Today, these differences are worth noting because they should influence effective communication in different parts of this heterogeneous country. Hanoi and Ho Chi Minh City are just two metropolitan areas that differ in Vietnam so if you spend some time here then you will learn just how varied it can be. Enough Vietnamese settlers traveled south to modern day Ho Chi Minh City (which was then part of Cambodia and known as Prey Nokor) that it eventually became part of Vietnam in the 17th century. Even after the war between the north and south ended in 1975, many Northerners traveled south to seek better economic conditions since the north was still largely war torn and the south was in better condition due to American investments (prior to the renaming of Saigon to Ho Chi Minh City which both names are used interchangeably today). And even today, some young Hanoians choose to go to HCMC in search of a career after graduating from university for a variety of reasons (more opportunities, more independence from family, a change of scenery, etc.). So how have these trends impacted the Saigonese mentality? Well, Saigonese are known to be more entrepreneurial and are known as risk takers (after all, it’s risky to become a settler in search of a better life in a different place than “home”) compared to their Hanoian counterparts. Perhaps in part due to western (French and then American) business influence in the 20th century, there is generally better customer service in HCMC than in Hanoi. In fact, wait staff may be openly hostile toward customers in Hanoi, or at least slow to respond to customers’ needs. 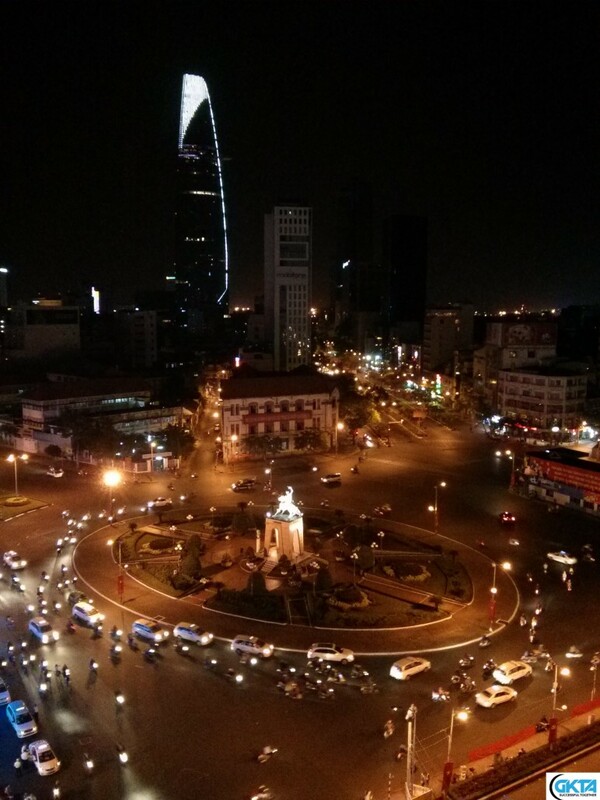 As a result, things move faster in Saigon than in Hanoi—at least on the surface. In terms of business, there are smaller deals in Saigon but they are more certain and quicker to be completed. In Hanoi the focus is on larger deals but there may be more uncertainty even after the deal has been signed. Why? In general, Saigonese are spenders and Hanoians are savers. If you were to find five customers in Hanoi, then you would be able to find ten customers in Saigon for the same product/service. Saigon is definitely the economic center of the country; most multi-national corporations are set up in Saigon unless they need regular contact with government liaisons at various ministries. So while Saigon is the economic center, Hanoi is the political and cultural capital which is a reason why Hanoians are reputed to make better managers than their more market-oriented Saigonese countrymen. Hanoians are also more pensive in terms of diving below the surface of situations, meanings, and intentions—but they can also be more abrupt in a way that might be interpreted as rude. The interesting (and misinformed) advice regularly given out in Saigon is to never do business with Hanoians because they will cheat their partners at the first chance. The people in Saigon who freely give out this advice are usually Saigonese who rarely visit Hanoi or foreigners who are repeating what their Saigonese friends told them. While it is true that Saigonese are initially more open and friendlier than those in the north, Hanoians open up once a relationship has been established. 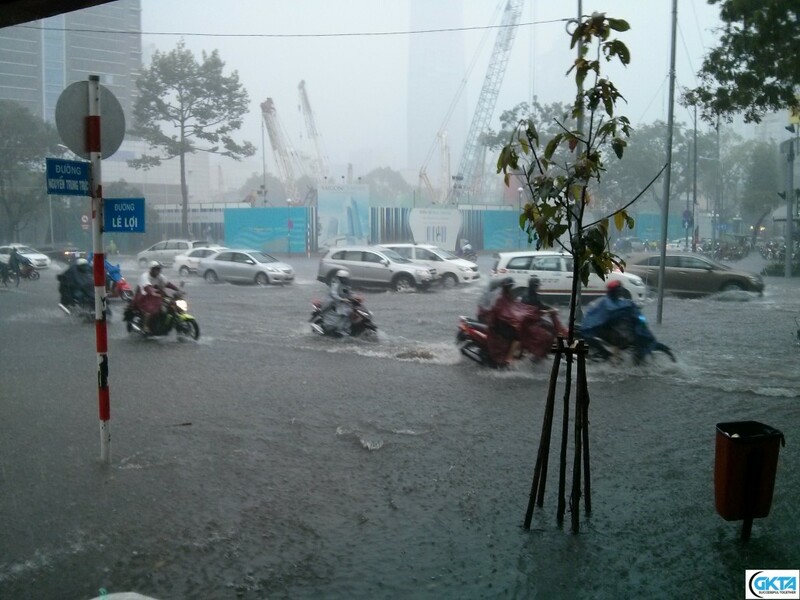 In terms of the atmospheres between the two cities, Saigon has quite an open layout with wide boulevards–but there is a lot of traffic and rush hour can be a nightmare, especially if caught in a storm on a motorbike. There seems to be just as much traffic in Hanoi but the streets are much narrower than in Saigon—perhaps half as wide, just as chaotic, and even smoggier than Saigon. However, there are more lakes and green space in Hanoi so the city feels “greener” than Saigon, which also has a river (with the same name) that runs through it like in Hanoi (Red River). 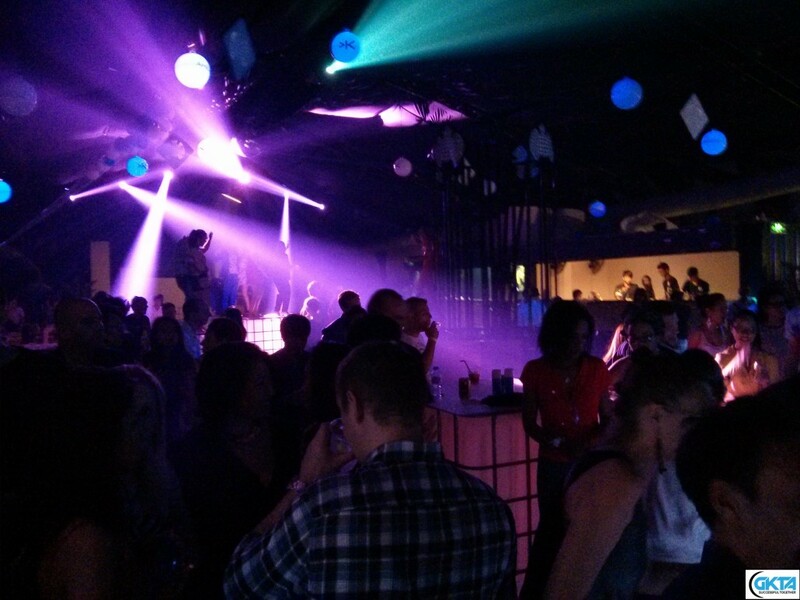 In terms of nightlife, everything is more opulent in the south and more reserved in the north. It’s safe to say that nightlife in Saigon and Hanoi are completely different; in Saigon some venues are open until sunrise and beyond. 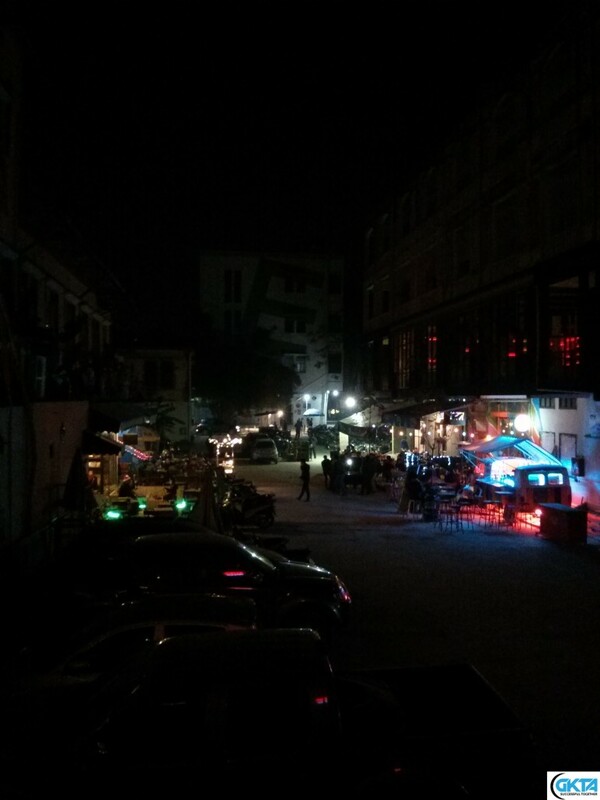 In Hanoi most places shut down at midnight as the police make their rounds. At sunset the Saigon skyline is colorful with light displays on buildings which are mostly situated in District 1. As a side note, the first (Keangnam) and third (Lotte Center) tallest buildings are in Hanoi with the second-tallest in Saigon (Bitexco). On the street level, there is a more European feel in Hanoi–perhaps because of the historical relationship and student exchanges Hanoi has had with Moscow and other European capitals; after reunification it was not uncommon for Vietnamese to go abroad to study in countries such as Poland, former Czechoslovakia, former Soviet Union, and France (even before reunification due to colonial influence). The European influence seems to extend to dress in Hanoi where its citizens tend to dress up more than the casual and laidback Saigonese. They certainly have the opportunity to wear layers during the winter when it can get quite cold—and most of the traditional buildings in Hanoi are not heated. 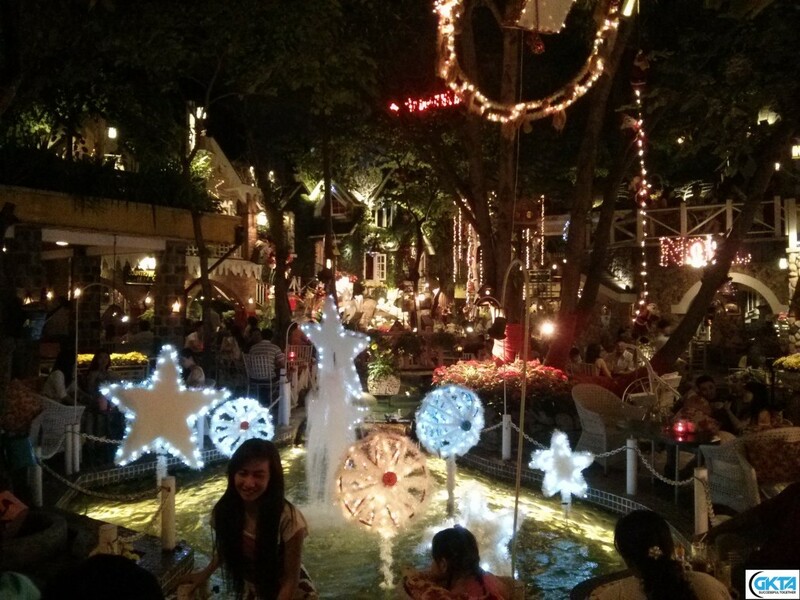 Winter in Saigon is pretty mild, even at night. Even though Hanoians are more formal in their dress, Saigonese are flashier when it comes to material possessions such as luxury vehicles and jewelry. Some people would say that, overall, Saigon is more suitable for westerners and both cities seem to attract different kinds of expats to each—for better or worse. To truly understand Vietnam, one must spend time in more than one city because Vietnam is so different depending on the city or region. Some differences between the cities (and other places) may be immediately obvious, but others will take time to discern especially to a newcomer. Northerners and southerners (and others) are able to tell one another apart pretty easily in conversations. One way to determine whether someone is from the north or south is by their accent. The northerners have a heavy emphasis on the “z” sound, even pronouncing the letter “r” as a “z” and the southerners prefer the “y” sound. Throughout Vietnam there are several major accents so it’s not just a “north” and “south” dichotomy—it’s just that those are the most apparent differences within the country since most foreigners in Vietnam visit either city. The central and other areas (highlands, coast, etc.) all have their own distinct flavors and unique qualities. After all, there are more than 50 different ethnic groups in Vietnam. 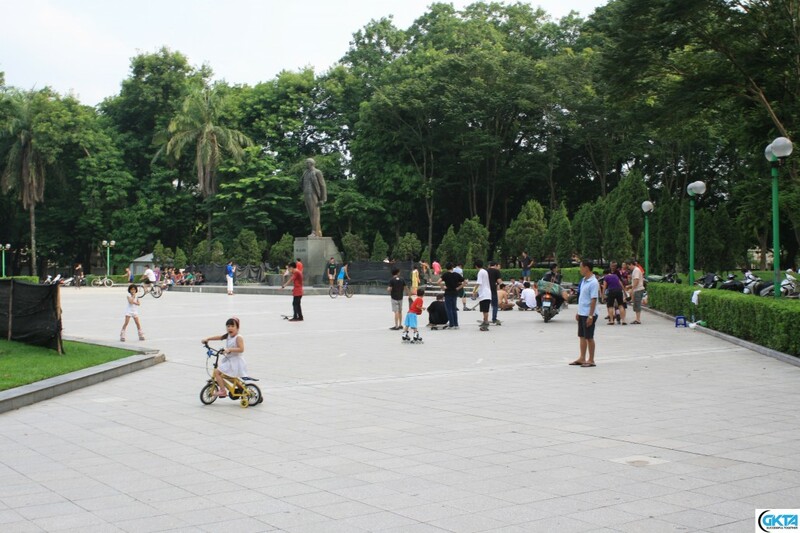 Despite the differences throughout the country, Vietnamese are more similar than they are different: they are all incredibly patriotic, they have a strong sense of family (certainly more than in the west), and if you establish and keep a good relationship with a Vietnamese person then it has the potential to last for a lifetime. Above all, not every person you encounter will be representative of the generalizations (and stereotypes) of their background—there are good and bad people everywhere—so an open mind, tacit knowledge, and a contextual awareness of every situation is vital. After all, it could be the only way to truly experience and embrace Vietnam and any opportunities that might unexpectedly come your way in this surprising country.